Presented here is what many consider to be Trout's most beautiful rookie card. The offered 2011 Bowman Chrome Orange Refactor is limited to just 25 copies produced and is seldom seen in a Beckett 9.5 holder. The card boasts undeniable GEM MINT presentation throughout and is among the very best copies to surface in recent memory. Displays blemish free borders with tremendous gloss and terrific registration. The color is vivid, the clarity is flawless and the print is exquisite. All told, this card is amazing and is virtually impossible to improve upon. 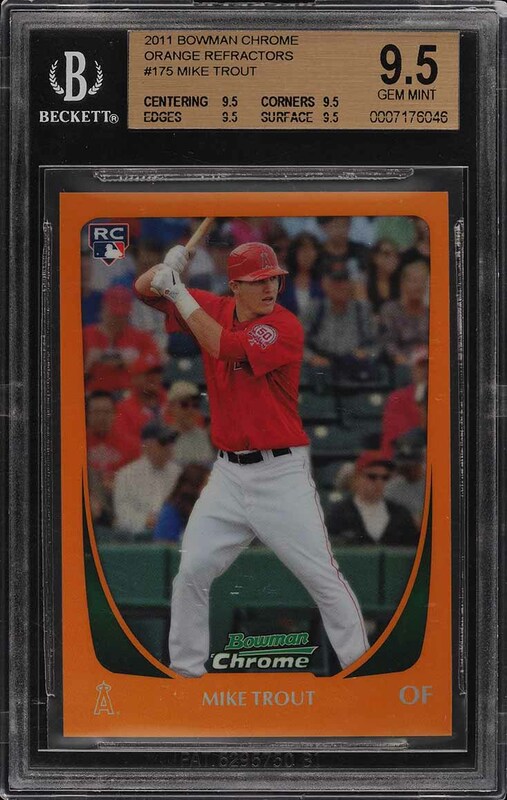 Trout rookie cards continue to soar in value as he retains his title as the MLB's best player. Trout is a likely future Hall of Famer with one of the best brands in Baseball. A quality modern investment commodity which comes highly recommended by PWCC. 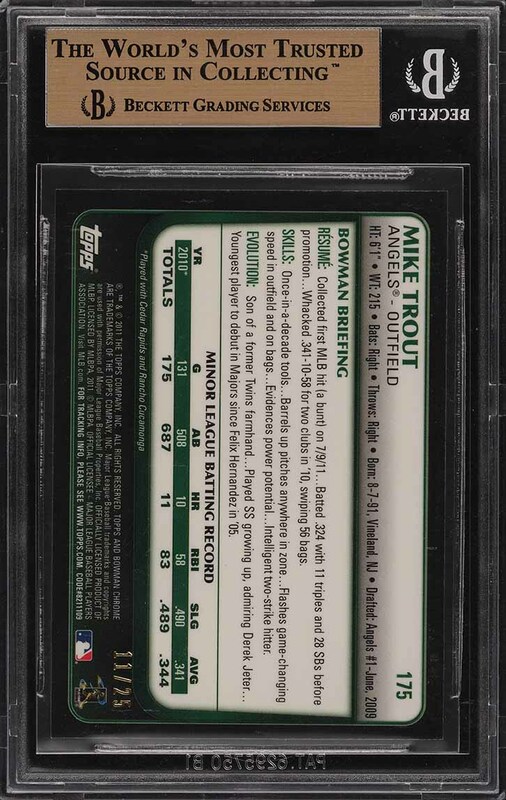 Part of a superb run of high-grade Bowman Chrome Mike Trout rookie examples on the auction block this month. One of over 17,000 cards, lots, and sets up for bid in our 3rd Auction of 2019. Click on the link above to view the other PWCC auction lots. The PWCC Vault is now live! Open a PWCC Vault account and receive a custom Vault shipping address. Purchases shipped to the Vault receive free shipping and reflect Oregon's 0% sales tax rate.